Since Thurday, it seems that everyone on the web is talking about this new 13th zodiac sign, Ophiuchus. And when I say "talking about" what I really mean is just downright freaking out! "OMG how can they change the signs?" "Oh no, what is my new sign?" "I need to remove my Scorpio tattoo!" "The world is coming to an end! Ahhhhhhhhhhh!" I don't normally talk about this kind of topic but I found it quite amusing. You'd it was the end of the world. The first thing I thought when I saw people discussing this was no way am I going to accept a different sign. I am 100% Aries through and through. Then when I read a little more about it I learned that "they" (whoever they are) are NOT changing the signs. Apparently there are two types of zodiac: tropical and sidereal. This was brand new information for me, but then again I never followed astrology and zodiac all that much. But tropical zodiac, which coincides with the seasons, is what Western astrology adheres to and is not changing at all. 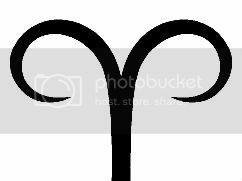 So if you are a Westerner, than you more than likely follow tropical zodiac and this 13th sign has no impact on you whatsoever. NO IMPACT WHATSOEVER. The proposal of the 13th zodiac was for sidereal zodiac, which is fixed to constellations and practiced in the East. So there, you can chill out. If you are reading this than more than likely this change does not affect you in any way. But if by chance you do follow sidereal astrology, here is what the new zodiac chart looks like. I kinda figured I have been a gemini my whole life..why change now?